I came across a quote that says, “A child who reads will be an adult who thinks.” I smiled for a moment and pondered on its reality in my life. After a moment, I found myself thanking my mom for doing her best in influencing me to read when I was very young. Pushing your kiddie to read may be a little difficult today than it was before. There are a lot of distractions your kiddie may find difficult to ignore other than the call of cartoons and outdoor activities. While these two are also essential to your child’s development, you must make them understand the importance of having a heart for reading before anything else. She also explained the academic and social benefits that come with enjoying reading, which have been well documented. “It is the absolute joy kiddies can find in reading that is so important,” she added. 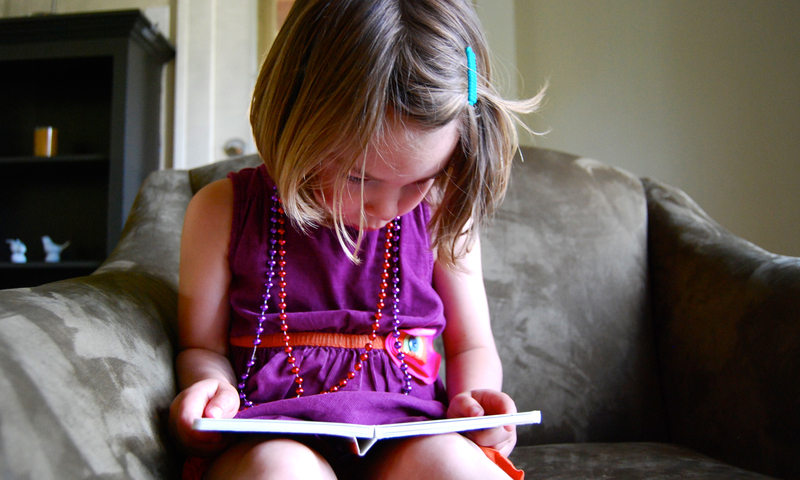 But how many books should your kiddie read in a year? In 2013, UK Education Secretary, Michael Gove answered it precisely saying that children should be reading 50 books a year by the age of 11. 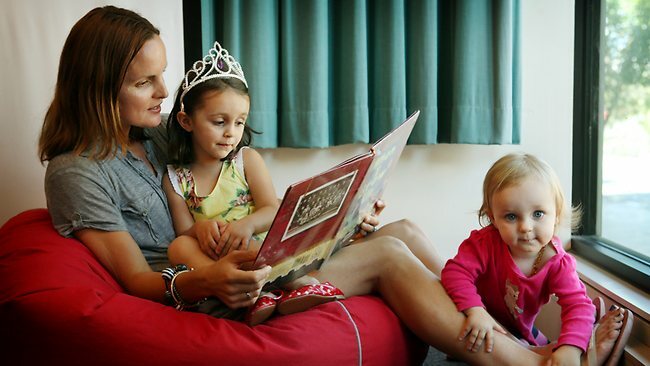 Child development experts in Australia, on the other hand, suggested that parents read 5 books a day to kiddies or at least 10 minutes daily. Children’s author, Mem Fox, also gave away an opinion that parents should read 1,000 stories to kiddies aloud before they learn to read by themselves. According to the woman behind the book, Reading Magic: Why Reading Aloud To Our Children Will Change Their Lives Forever (Mariner Books), reading aloud and talking about what we’ve read sharpens kiddie’s mind. They also learn how to concentrate, solve problems logically, and express themselves more effectively. kiddie to the local library and let them know what the librarians can do for them. Another tip is to talk to your kiddies about books. Ask about what they like in the stories they’ve read to know about their interests and preferences. Most importantly, be a model good reading habits. Now that you live in a highly technological world, you have more options than bringing your kiddie to the library. At a very young age, you can encourage your child to read by letting them have their own educational toy. Kiddie tablets available in the market today are effective aids for learning, as they promote fun studying and engagement. For best results, choose a device with an ‘educational ladder’ feature that adjusts to the user’s age and level of knowledge. Make sure that the device contains applications aligned with the developmental milestones of kiddies. Most of the ‘educational ladder feature’ caters to students in kinder to primary school. A great way for children to learn at their own pace with an interactive touch screen technology! There is no doubt how reading gives kiddies an edge. Compared to other children, those who read will have a better understanding of how things work. This will be noticeable to educators, as they would not find difficulty explaining even complex matters to these kiddies. They are also the one more likely to excel in class. As we’ve said in the intro, kiddies who read will be adults who think. I agree to this, as I remember my younger years associating situations with things I’ve read to solve a problem. Just be careful parents when choosing a book for your kiddies, be careful with what you feed their mind. Last week, I visited my dentist who’s also a close friend and heard her discuss with her kiddies the new policy in their school. “No more notebooks, just laptops,” said her daughter. Considering how we depend on gadgets today, I still got surprised that this is now a thing. But come to think of it parents, how has technology changed the lives of today’s students, really? The Internet used to be limited in both what it could do and who can use it. Not everyone had a clue what it was after hearing about its invention. Today, teachers and students probably could not push through a lesson without it. In just a short time, the Internet became an integral part of every student’s life. 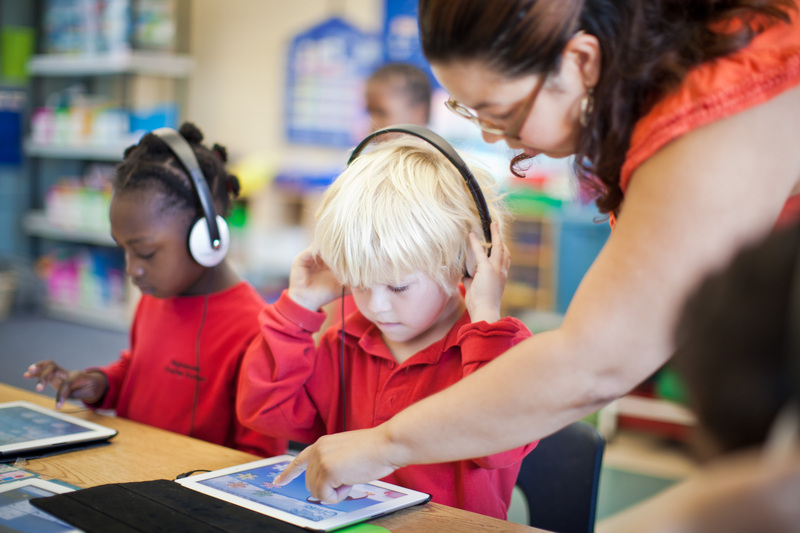 The use of technology even became the standard for good learning. According to some resources on the web, good learning involves kiddies enjoying what they do and having a say on how their learning develops. Also, it should give room for feedback, in which the students can raise their need for further explanations. It has to allow students to apply skills and knowledge to different situations using various methodologies as well. Moreover, it should be visually motivating, challenging, involving practical lessons, and giving room for creativity. Technology also helps in the learning process of kids at home. There are various products available in the market, from e-learning tablets for young ones, down to tech products for older students. This is the primary reason students use the Internet in education. There is a wealth of info open to students, even those obscure topics required for research in the library. In China, for example, the site Lecture Outline Series for the History of China, allows students to research directly off this page and present their findings. These websites serve as knowledge banks where student can get information instantly. You see how efficient studying would be if your kiddies have their own laptop or tablet? They can research on their “digital library”, find answers fast, and accomplish more school tasks than they could with the help of the traditional library. One concern, however, is the quality of information found online. It is important that teachers help students identify credible resources. As parents, teach this to your kiddies, as this is something they will do until they grow up and get promoted to higher education level. Next is citation. Your children have to understand the seriousness of using one’s idea even if it was posted on the web. Introduce to them how to make citations and give authors the credit they deserve. Simulation in the classroom has been uncommon despite many teachers’ reports on how kiddies of the new generation enjoy online work and simulated activities. 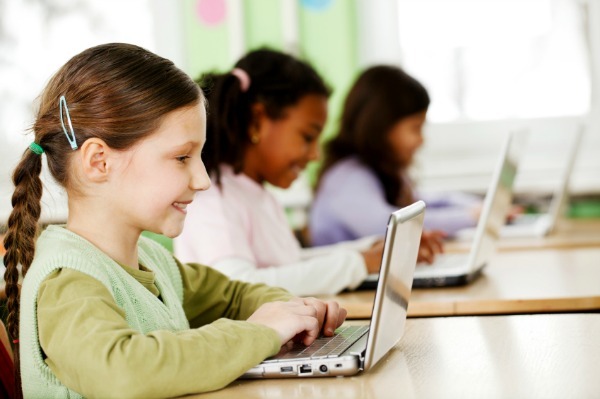 Technology in the form of e-learning products available in the market effectively helps children learn about collaboration, group work, real-life problem solving, decision-making, and the like. What simulation offers is a somewhat risk-free environment, in which learners can experiment, make mistakes, rethink, and redesign — all without the fear of destroying something that can’t be easily refilled in a traditional setting. 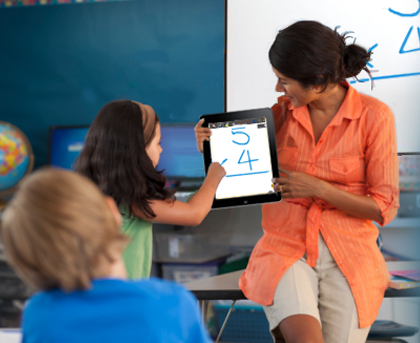 Teachers also benefit greatly from today’s technology. Effortlessly, they can create their own tests online on their own website. Students, on the other hand, will benefit from the convenience they get when answering exams now than before. They can even do it wherever they are. To top it off, checking can now be done in no time, as well as the computation of grades and updating of class record. Now you see the convenience and overall improvement brought about by technology in the classroom. Indeed, it makes things easier and more precise for everyone. Technology in the classroom defines good learning experience, as it allows students to experiment, rethink, and remake without the fear of destroying something indispensable. Homeschooling requires four basic things: time, temperament, resources, and passion. If you’re thinking of homeschooling your child this school year, make sure that you have a lasting supply of these. There are also a lot of decisions to make, which can be overwhelming. But still, nothing is too difficult to do with enough knowledge and preparation, right? Just follow this step-by-step guideline that covers everything you should know before taking charge of your kiddie’s education. Same with doing any other project, it starts with research and investigation, and ends with noting the common pitfalls. You’ll be presented options according to your kiddie’s age and education level – early education (Kinder 1 & 2), Grade School, or High School. Institutions like VCIS Homestudy, for instance, offers electives, foreign languages, and Bible studies other than local subjects. This month is the best time for you to research and prepare, as school term is ending on March. Get ideas from the web and printed resources, visit libraries, and speak with other parents who homeschool their child. As you do this, you’d realize if you’re making the right decision and whether or not it’s good for your entire family. To know more about homeschooling and open universities in the philippines, click here. Homeschooling is legal in the Philippines and is accredited by DepEd. There are actually no requirements to submit to the government when you decide to homeschool your kid. What you should know, however, is how to get DepEd accreditation when you finally decide to enroll your child in a regular school. As the legal compulsory age for school attendance is 6 to 12 years, some parents seek accreditation only when their kids begin grade school. Others only do so upon transferring their kiddies to regular schools. To get started on your homeschooling program for your kiddie, research the homeschool programs with DepEd accreditation as you visit this link. Your child should take exams such as the Philippine Validating Test (PVT) or those offered at the Center for Educational Measurement Inc. (CEM) to get assessed. After choosing a particular homeschooling institution, coordinate with them regarding the list of their requirements. Ask if there are records to maintain, reports to submit, and other tests to take. Curricula are bought directly from the homeschooling institution. It normally comes with a list of text and workbooks that teach about reading, writing, and arithmetic. As mentioned in the options part, some institutions offer foreign languages and electives other than the local subjects for grade school and high school children. You can also buy materials catering to different child interests as you attend conventions and curriculum fairs that showcase various homeschool publications. After prepping a homeschooling space in your house, write a list of what you want to accomplish. This will vary according to your child’s age and edicational level. There are many things to consider other than the academics, such as your kiddie’s physical activity, socialization with other kids, and extracurricular activities. Talk with other parents to get ideas, visit your local community center, and refer to printed ads and listings. Create a plan that specifically meets the goals you listed above. This will help you keep things organized and focus on your mission. Find a book that will help you make a detailed homeschooling schedule to get started. Break up the schedule to each academic subject you want to work on. Decide also on how you hope to break up the learning week by week. There should be field trips and visits to the library. Never forget you can adapt your schedule to your kiddie’s needs, as flexibility is the primary reason you considered homeschooling. Take the time you need to understand the issues that often discourage beginners, which you’ll learn about by joining a support group. Examples are committing to a curriculum too early and purchasing a costly package that doesn’t suit your kiddie’s learning style. Despite all the pitfalls mentioned above, remember that you’ll learn as you go. Adjustment to the freedom and flexibility are among the challenges you’ll have to face. You’ll be defining yourself as you go along homeschooling your kiddie. Drop the worries and take the time you need to ensure success in this parenthood project.